Angling Trust and their help. The Angling Trusts CEO Mark Lloyd, who was subject to considerable pressure during his presentation at the hearing was asked why the Angling Trust had not represented all speaking on on behalf of anglers, particularly, why he had not provided a barrister as had NRW, his response was as follows. The closing statements published below may be lengthy but they are worth the read. They give a clear picture of the stance taken by anglers representatives and also shows the great effort that has been put in by these individuals on our behalf: thank you to all those who spoke and made these statements. The Campaign for the Protection of Welsh Fisheries (CPWF) is a voluntary organisation supporting grass roots anglers across Wales who would have found it difficult to present at the inquiry but wanted their voices to be heard. In recognition of this CPWF has represented 21 angling clubs, riparian owners and organisations from across Wales at the inquiry. These organisations have given their permission for CPWF to represent them and have been involved in the preparation of the CPWF evidence. To a lay person the technical case for the byelaw presented by NRW is compelling as noted in the evidence paper submitted by Mr Tony Harrington representing Dwr Cymru (Welsh Water) and declared as a supporter for the NRW proposals in which he says “The evidence presented by Natural Resources Wales in relation to the decline of salmon stocks is both comprehensive and compelling”. To those with little knowledge of migratory fish, and the issues which have resulted in their decline, the proposals appear to be proportionate; however, there is no evidence that the byelaws in themselves will reverse this decline. The evidence presented by objectors has demonstrated their willingness to support voluntary measures and in presenting their evidence objectors have explained how clubs impose rules upon their members in order to conserve fish stocks which are far more effective than byelaws. These rules apply to individual sections of a river and reflect the present byelaws for that river system, that is byelaws which have been agreed over years with the agency at that time. The basis of the NRW evidence, such that it is, in the Technical Case relies upon the methodology and statistical techniques used to estimate the Conservation Limit (CL) for each river system. This methodology was originally developed on the River Bush in Northern Ireland, a river which has 100% entrapment of returning adults and migrating smolts and has known water quality and carrying capacity i.e. input parameters are known quantities. The developer of the statistical model (now deceased) states in the original published paper that the model may not be transportable as it had been developed against known, quantifiable, parameters based on a single river system. In the CPWF evidence I refer to extracts from technical papers (W64 and W65) commissioned by the Environment Agency in 1997 which clearly identifies the flaws in a methodology developed for a single river system with known parameters, the river Bush in this case. Most significant is the assumption of water quality which is pristine and marine survival as a known quantity both of which have a significant effect on the error generated by this methodology. The subsequent plotting of a regression curve of egg deposition based upon input data which has been shown in our evidence to be flawed puts severe doubt on NRW claiming this as the basis for the proposed byelaws as it shows most rivers as being ‘At Risk’ or ‘Probably at Risk’ of failing to meet their CL in five years’ time. Forward projection of this regression line is the basis of the NRW Technical case and historically this has been found to be unreliable. “predictions” (predictions for the plotted regression line) of Welsh rivers based upon angler catch returns in the four years from 2013 to 2016 shows inaccuracy in catch returns, with only: 41% correct in 2013, 41% correct in 2014, 27% correct in 2015, and 18% correct 2016. The flaws and subsequent inaccuracy of the present CL model is recognised by NRW and in their rebuttal evidence documents NRW provides a link to a research paper: the ICES Journal of Marine Science, Volume 73, Issue 6, 1 June 2016, Pages 1513–1524 which describes a more accurate methodology for predicting conservation limits (CL). This paper was first published in March 2016 and was therefore available to NRW prior to the presentation to the NRW Board in January 2018. Had this revised methodology been presented to the NRW Board in January 2018 it may have persuaded the Board to defer their decision until the revised methodology had been tested. NRW has recognised a need to review the CL methodology and state that they will be working with the EA and CEFAS on a revised methodology and will review the situation in 5 years once a new methodology is adopted. Counsel for NRW went out of their way to disrupt Mr Ashwin’s evidence claiming that in trying to describe a very complicated statistical model Mr Ashwin was introducing new evidence. In the same vein the NRW Counsel complained that the Drs O’Hagan and Fop the Dublin consultants independent assessment of the methodology was inadmissible as Mr Ashwin could not provide an engagement letter which clearly advised Drs O’Hagan and Fop that the present CL regression line was based upon Bayesian methodology. the present model. In the O’Hagan and Fop paper they recommend the use of a time-based methodology and in the link to the revised methodology much of what O’Hagan and Fop advocated has been applied. This revised methodology also includes the use of the Monte Carlo simulation used to model the probability of different outcomes in a process that cannot easily be predicted due to the intervention of random variables. Due to the random variables used in the present methodology NRW plot a graph as a ‘best fit’ based upon a theoretical curve known as a Ricker curve. This best fit is simply an educated guess which is no basis to introduce legislation let alone use this as an excuse to hide behind a ‘precautionary approach’. In simple terms the present statistical model is flawed i.e. rubbish-in = rubbishout. This is primarily due to input variables based upon uncertain data with reliance on the assumption that water quality is pristine and that angler rod catch returns are accurate. The present methodology takes no account of variables such as flood events, pollution, and predation and assumes a split between 1 Sea Winter (1SW) and Multi Sea Winter (MSW) salmon which due to changes in the marine environment is no longer valid. In his proof of evidence Mr Davidson identifies the shift in run composition from 1SW to MSW salmon and yet this is not, at this time, factored into the calculation of the CL i.e. more eggs are being deposited due to greater numbers of MSW fish returning to our rivers. The river Dee is a highly modified water course due to the river being used as a conduit to transport water from the Celyn reservoir to pumping stations. The Dee is used as an index river and as such assessments of CL and smolt output are used as benchmarks for other rivers in Wales. Any errors in the Dee assessment are therefore replicated in all Welsh rivers, Mr Ashwin for CPWF covers this issue in his closing statement. 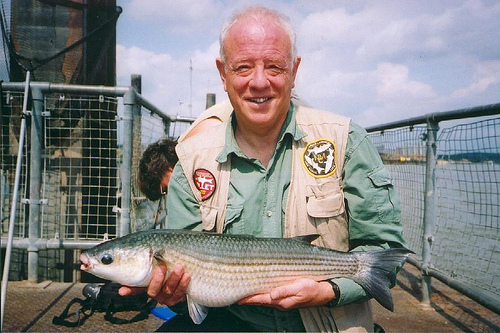 In the proof of evidence from Mr Gough it is recognised that many migratory fish stocks have been in decline for the past decade (this is not disputed by CPWF) this is despite the response from anglers who have increasingly voluntarily returned the salmon they catch. It should be noted that whilst anglers have responded over the past decade there has been little or no response from NRW or its predecessor agencies in identifying and taking positive action to reverse this decline i.e. NRW and its predecessor agencies have failed in their statutory duty to ‘maintain fisheries’, there has only been reliance on anglers taking action. NRW now leans heavily on a precautionary approach due to their lack of objective evidence in an attempt to cover up their failings in maintaining fisheries whilst accepting that angler exploitation is not the issue. In his proof of evidence Mr Gough states that logic indicates that if more fish are saved it will lead to increased spawning resource, leading to the production of greater numbers of juvenile fish. Whilst this appears to be a logical argument it is not supported by evidence. In the NRW evidence there is a table showing the exploitation rate and catch return rate on the Dee between 1992 and 2017. This table as with several others in the NRW evidence is misleading as the exploitation rate is based upon declared catch returns (fish caught by anglers) and not the exploitation based upon the estimated number of salmon which enter the river. Recreational angling is not an efficient method of catching migratory fish. It is estimated that anglers catch between 10% and 15% of salmon which enter our rivers, Mr Davidson (NRW) estimated that this can be as high as 20% in some years. In my evidence I produced slides to illustrate the core issues, in slide 5 I used data from an NRW spreadsheet showing salmon catch rates during 2016. From this slide it can be shown that in 2016 the exploitation by anglers assuming anglers catching 15% (the average is more likely 12%) of the total number of salmon which enter Welsh rivers equates to an exploitation of 3% (only 50% of these would be hen fish). In his oral presentation Dr Mawle suggested that exploitation is between 3% and 4% on the river Usk. On an individual river basis, using the 2016 data, the exploitation rate for each river varies between 1% and 8% i.e. there are more than enough fish surviving to spawn and it is the in-river losses which must be addressed. Whilst anglers can and do assist by voluntary measures in this process, they are not the prime cause of the decline, this is acknowledged by both NRW and CEFAS. I refer you to Fig 1 ‘From Egg to Sea and Back’ in the CPWF evidence (page 7) which demonstrates where the major losses occur. Tackling in-river losses which NRW has clearly identified as a major problem would have a far greater effect in reversing the decline in fish stocks. In her evidence Ms Jenkins claims the ‘All Wales Byelaws’ are intended to preserve vital breeding resources whilst other matters suppressing environmental quality are addressed. Exploitation of 3% of the spawning stock by anglers is hardly excessive and unlikely to deplete the ‘vital breeding resources’ as at best anglers catch only 15% of returning adults i.e. there are 85% of the ‘vital resource’ untouched. sites NRW positively encourages such disturbance due to the inaccurate advice provided on the NRW website. 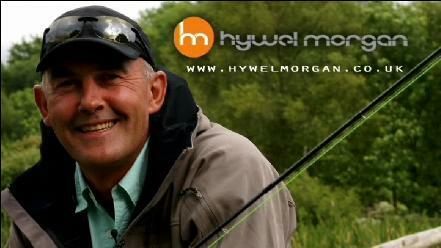 This advice is based upon the river Wye and is not acceptable on the much smaller spawning streams in North Wales. There is a perception that the byelaws are more about driving anglers from the whitewater rivers in North Wales to enable greater use by adventure activity companies irrespective of the impact on recruitment of migratory fish. Should the byelaws be applied against anglers I will insist that under the precautionary approach these are extended to all invasive activity on rivers where migratory fish spawn between November and the end of January the following year. In the evidence from Mr Vaughan he identifies quite clearly the land management areas which need to be addressed and that the Welsh Government (WG) intends to introduce legislation to address this. Any legislation via WG will not be until 2020 at the earliest and, even then, there will be a phased implementation. If as is continually expressed the byelaws respect the ‘precautionary approach’ why is it that agricultural pollution which causes so much damage to the aquatic environment has not been address over the past 20 years? This is despite angling organisations identifying this as a root cause of the decline in fish stocks during this time period. It seems that it is convenient to use the precautionary approach as an excuse to impose legislation to cover up for the inaction of NRW and its predecessor agencies in addressing the decline in migratory fish stocks for the past 20 years. Several times in questioning objectors Sir you referred to a suite of proposed legislation by the Welsh Government which you claimed was to support the byelaw proposals, there is no evidence to support your belief that these proposals are designed to support the byelaws it is just a happy coincidence that they may do. In your questioning of Dr Marsh-Smith you asked if he was aware of the proposals in Mr Vaughan’s evidence, to which Dr Marsh-Smith replied that the proposed suite of measures was simply ‘aspirational’ and it remains to be seen if these promises are fulfilled. There is no doubt that reducing agricultural pollution through selective land management legislation will potentially improve recruitment of migratory fish but there is still a long way to go before this is applied and even longer for it to become effective. This is not a justification to apply a precautionary approach exclusively against anglers who have the least impact on fish stocks. Put simply anglers are just an ‘easy target’. Whilst my preference is to voluntarily return all of my salmon, in my oral evidence I explained this is not always possible due to damage or stress when landing a fish resulting in mortality. Those who voluntarily practice C&R do so with great care to avoid unnecessary harm, the same level of care may not be applied by those forced by legislation to return their fish. Returning a dead fish to the river does nothing to improve the spawning stock. If it can be irrefutably demonstrated that salmon stocks in a river are on the point of extinction, then rivers should be closed to all salmon fishing although considerable resources would be needed to protect such rivers from poachers. In cross examination of both Mr Gough and Mr Russell they were both asked if salmon stocks in any river in Wales were on the point of extinction, the answer by both individuals was they were not aware of any river in which salmon were on the point of extinction. They simply point to the CL regression line which predicts that this may happen. Mr Barry for CEFAS in his oral evidence used a flip chart to demonstrate the logic behind the precautionary approach whilst accepting that the statistical predictions may not be correct, but it is better to err on the cautious side. The problem with this approach is the resulting unnecessary economic impact of taking such a course of action. Each river system is unique and should be assessed at a local level taking all variables into account i.e. droughts/floods/avian predation etc, all of which have a significant impact on migratory fish stocks. In his proof of evidence Mr Gough identifies that improvements to habitat quality would be more effective if there are improving numbers of spawning fish to take advantage of this. Full statutory C&R fishing for salmon and sea trout at all times has been in place on the rivers Taff and Wye for the past 7 years with little or no recovery in migratory fish stocks. There is no evidence that the proposed byelaws will result in the reversal of the decline. Improvements on the Wye are primarily due to habitat improvements and barrier removal. ‘Not at Risk’ within the next 5 years based upon forward projection of the regression curve. As well as C&R restrictions the Wye imposed bait restrictions yet neither has resulted in a marked improvement in reversing the decline in migratory fish stocks over the past 20 years and any marginal improvement is more likely to be due to habitat improvement and barrier removal. The Wye as with other rivers in Wales suffers from agricultural pollution and siltation. In his evidence Mr Gough states that despite these C&R controls, certain components of salmon stocks and some sea trout have continued to decline i.e. there is no evidence of their effectiveness. Challenges on the effectiveness of C&R and method restrictions typically elicits the following response from NRW “we don’t know how much worse it would have been if the restrictions had not been applied”, this is merely opinion and not evidence. It is the decline in the 1SW salmon (grilse) which has skewed the CL on most rivers as many electro fishing sites are predominately those used by 1SW salmon. The effect of barrier removal above some of the electro fishing reference sites has not been factored in i.e. migratory fish will travel further up the spawning streams once the barriers have been removed making their original spawning sites underused. Tackling in-river losses, which NRW has clearly identified as a major problem, would have a far greater effect in reversing the decline in fish stocks. ‘At Risk’, there is therefore no quantifiable evidence to support this opinion. Mr Gough frequently responded in his oral evidence with the statement ‘We believe’, belief is not evidence it is simply opinion. Whilst there has been an increase in MSW salmon, the reasons behind this are unclear and complex. I included in my evidence (Slide 18 & Page 27 of my proof of evidence) a graph taken from a presentation by Dr Nigel Milner which shows the variability of salmon catches across 7 North Wales rivers and I postulate that this graph shows the effect of the Irish Drift nets on the decline in salmon numbers in Welsh rivers. In cross examination of Mr Russell, I asked if removal of in-river nets would have any effect on the numbers of fish available to spawn, he agreed that removal of in-river nets would have an effect. I then asked why with the nets removed on both the Clwyd and the Dee there had been no improvement in rod catch or for that matter an improvement in the CL. There was no answer to this. The Dee historically supported at least 21 netsmen who killed all of the salmon they caught. At that time anglers would also kill everything they caught and yet the river could support this level of exploitation. The reasons for the continuing decline in migratory fish stocks have been recognised in the evidence present by NRW and yet, at this time, these issues are not being addressed just more glossy brochures with empty promises. The byelaws will have no effect in reversing the decline even if the root causes of the decline are addressed. There is however clear evidence that anglers have responded through voluntary measures which can be further improved upon with co-operation. NRW are aware of where anglers are not meeting the required 90% release rate. Rather than invest a fraction of the cost of this inquiry in education and co-operation NRW has chosen a confrontational path and, following the consultation, has ignored the objections and pursued the NRW preferred option in the full and certain knowledge that it will not achieve the desired objective. In his evidence Mr Randles a netsman who used to operate on the Dee and now operates a licence on the Conwy explains that he had negotiated in the year 2000 with the Dee Fisheries Association for the removal of 21 nets from the river Dee, these nets have not operated since 2008 following a 10 year net limitation order which was extended for a further 10 years in 2018. Despite the removal of these commercial nets on the Dee there has been no noticeable improvement in the numbers of returning salmon. There has similarly been no recovery on the Clwyd following the buy-out of nets by the Federation of Clwyd Anglers some 10 years earlier than the Dee. Whilst the Dee as a cross border river is outside the scope of these byelaw proposals (at this time) the evidence from Mr Randles demonstrates that removal of nets has minimal effect on the recovery of fish stocks. in response Mr Russell replied that the Irish drift nets mainly caught grilse (1SW fish), whilst this may be true for Irish estuarial drift nets, this may not be the case for Irish high seas drift nets. The return of reward tags by Irish netsmen taken from salmon which had been tagged at the Maerdy hatchery in North Wales clearly identifies that salmon bound for Welsh rivers were being caught off the coast of Ireland for a period of approximately 20 years. The exploitation of these salmon coincides with the start of the steep decline in salmon numbers in Welsh rivers. There is no evidence that every river in Wales is in serious or similar decline. The use of the regression line (based on estimated egg deposition) to predict a 5 year forward stock assessment has been demonstrated to be flawed. The survival strategy of salmon accounts for poor spawning conditions and adverse weather events in that parr stay in their spawning streams for 1, 2 or 3 years, similarly adults stay for 1, 2 and 3 winters at sea i.e. there are always adults at sea to maintain the species. This strategy results in the variability of angler catches as shown in the graph from Dr Nigel Milner used in my evidence. Given pristine rivers and lower predation salmon stocks could recover quickly. Rivers must be assessed individually as no two rivers are the same. At the moment there are 10 regional sets of byelaws with rivers having different start and finish dates for fishing. In addition, there are further restrictions which recognise that each river is unique. Angling clubs and riparian owners recognise these local byelaws and differences in the rules they impose on anglers fishing their waters. It was claimed by Mr Gough that by introducing an ‘all Wales’ byelaw it would simplify the understanding by anglers as there would be a single set of rules across Wales but this is unconnected to salmon conservation. Local anglers fully understand the byelaws they have to comply with and the membership of their clubs re-enforce these byelaws in the club rules. There was some confusion by counsel representing NRW as under cross examination of Mr Woodford, who explained that the fry and parr counts on the Afon Ogwen in 2018 were the highest on record, only to be told that fry and parr counts are not part of the CL assessment. Whilst this is true in terms of egg deposition, fry and parr counts are used to assess the success of spawning and this is a core part of the NRW Technical case based on the flood damage in 2015 and the poor fry and parr counts in 2016 which could lead to a lack of fish in 2020. In cross examination of Mr Renwick, Mr Wald for NRW, asked if he was aware that the CL is based upon data from traps, counters and fry and parr counts which contradicts his previous comments. The high fry and parr counts in 2017 and 2018 indicates that whilst there may be a reduction of adults returning in 2020 this is just a transient as reflected in the graph by Dr Nigel Milner. The objective of the byelaw proposals is to reverse the decline in migratory fish stocks or, as Ms Jenkins says in her evidence, to “preserve vital breeding resources whilst other matters suppressing environmental quality are addressed”. Even if anglers killed all of the salmon they catch there would still be 85% of the total run of fish available to spawn based upon anglers only catching as much as 15% of the salmon which enter a river, the likelihood is that it is less. NRW accept that anglers are not the problem. Therefore, it appears the only justification for imposing these draconian measures against anglers is so that NRW can be seen to be doing something using the precautionary approach as an excuse, and to distract from the fact that NRW and its predecessor agencies have failed in their statutory duties to maintain migratory fish stocks for more than 20 years. As Ms Jenkins eludes, this is just a stop gap measure “whilst other matters suppressing environmental quality are addressed”. These “other matters” have been known to NRW and its predecessor agencies for more than 20 years and yet it is only now that they propose to take any action to address the root cause following a complaint to the EU by Afonydd Cymru i.e. the WG proposals are not in support of the proposed byelaws as they postdate the NRW 2015 Technical Case, it is simply convenient to claim they are in support of the proposals. It is possible to restock rivers which have been affected by pollution events or flood damage. The argument against stocking is due to the theory that this dilutes the gene pool. There are very few, if any, rivers in Wales which have not been stocked with fish from other rivers. In addition, salmon and sea trout frequently wander between river systems, radio tracking and tagging demonstrates this with one fish from a Canadian hatchery reportedly caught in the River Tyne and it is this characteristic that has repopulated rivers like the Taff and Mersey. Whilst it is true to say that fish adapt to their environment there are many research papers which show that within three spawning cycles the off-spring have adapted to their river conditions. Those that don’t will then fail to spawn. In their evidence NRW refers to regulations in other UK jurisdictions, what this Annex fails to describe is that in Scotland rivers are reviewed and assessed on an annual basis, working with riparian owners and Local Fishery Boards to ensure that accurate catch returns are recorded. This enables rapid response to changes in stock status. NRW has rejected working closely with local angling clubs in favour of heavy-handed legislation using the precautionary approach as an excuse. Working with local anglers would arguably achieve an equal or better outcome than legislation that is unenforceable due to lack of resource. In Mr Gough’s rebuttal evidence with reference to enforcement he includes a histogram which indicates the decline in reported incidents of poaching; this graph was part of a presentation by the head of enforcement at the fisheries forum in October 2018. In my evidence I included a second slide from the presentation by the head of enforcement for NRW (slide 37 in my presentation) and drew attention to the black triangles which show reports which are considered, according to the legend, to be ‘Not Significant’. Each of those black triangles on the Conwy system is a report of poaching activity, poachers on the Conwy and other North Wales rivers kill far more salmon than all the anglers who fish the Conwy and yet according to NRW these incidents are not considered as significant. Therefore few anglers report poaching incidents as there is rarely any response and, even if there is, it is an after-event response i.e. after the poachers have removed the salmon or sea trout. NRW has said in its NASCO assessment that if the byelaws are implemented they will make enforcement of byelaws a priority, damage from poachers on the other hand are apparently treated as insignificant. Technical Case, there is no estimate given on the losses to fish eating birds (FEB’s). On the Conwy system, based upon a count of FEB’s (Goosanders) over one year i.e. January to December, we estimate that we lose approximately 50,000 parr/smolt per year based on each of the FEBs eating 440gm of fish per day. In his proof of evidence Mr Renwick on Page 5 asks ‘where is the test bed river’? This is something I had explored some 10 years ago with the previous agency (EA(W)) local fisheries management team as in research from a Canadian East Coast river there was clear evidence that controlling FEBs made a significant improvement to the numbers of returning adults by enabling more smolts to reach the sea. Fish stocks cannot recover where there is excessive exploitation by FEBs i.e. increasing recruitment of juvenile fish without effective FEB controls in place will just see more FEBs on the river as there will be a greater food source. In my evidence I refer to the test for proportionality under UK Administrative Law before byelaws are approved. It is clear from the evidence presented to the inquiry that the imposition of the byelaws will not achieve the objective of reversing the decline in migratory fish stocks, even if the proposed WG legislation on land management is enacted and, even if enacted, this proposed land management legislation will not be for several years. If a precautionary approach is to be implemented against anglers then the same should be applied to agricultural pollution. By pursuing legislation NRW has dismissed working with its stakeholders who have repeatedly demonstrated that they are willing to adopt effective voluntary measures. It is interesting to read the sanitised minutes for Local Fishery Groups (LFG) meetings. The sanitising of these minutes means that they are not a true reflection of what has been said at the meeting i.e. much of the, at times vociferous, criticism of the NRW has been filtered out. In my presentation slides (slide 15) I included a copy of the minutes for the Dee LFG and you will see that by voluntary measures Corwen & District Anglers went from 48% C&R in 2011 to 94% in 2017, my own club varies between 98% and 100% C&R the variation being due to fish mortality and not the deliberate taking of fish. The days when the majority salmon anglers kill everything they catch is very much a thing of the past. Both Mr Eardley and I are members of the Clwyd, Conwy & Gwynedd Rivers Trust (Mr Eardley is Secretary. I am vice Chairman and Treasurer). The project work we undertake and the funding we receive for these projects are subject to match funding and to achieve this we rely heavily on voluntary labour which is mainly from angling clubs and riparian owners. It remains to be seen what happens if these draconian measures are implemented but the general feeling of stakeholders is, they will not in the future carry out work which they consider NRW should be doing. In cross examination of Mr Nicholson, he was asked by Mr Wald where the reference to Mr Russell (CEFAS) stated that he had taken the evidence on ‘face value’. This can be found in NRW/4b Appendix 1 Page 1 last paragraph which says “However, these documents largely contained tables and figures (N.B. I have taken the raw data provided in these documents at face value), so the few comments I have on these documents have also been listed below”. It was therefore clear that Mr Russell had not challenged the accuracy of the data he was provided. In the oral presentation from the netsmen they supported the fact that the decline in fish stocks has been due to poaching, pollution and predation with in their opinion the greatest effect being due to pollution. There was also reference to effect of the Irish high seas netting as identified in the graph from Dr Nigel Milner and that they were now seeing more MSW fish. There is an opportunity to work co-operatively with NRW as we have extremely good relations with our local NRW fisheries officers. Mr Eardley has covered how this would work in his closing statement which I fully support. It only remains for me to thank the inspector for the patience shown due our lack of understanding in how an inquiry of this type is run. CPWF has the support of freshwater and sea anglers in Wales. I am regarded by those who know me as a mild mannered, modest man, someone who will always give a carefully considered response and who during his working life was proud to be regarded by senior colleagues as “the voice of reason”. Today however I make my closing submission as an angry, frustrated and disillusioned man. For someone who has always endeavoured to work alongside both NRW and its predecessors, it is that refusal to work with stakeholders in order to arrive at a voluntary solution that is central to my feelings. NRW may profess that it “aims to deliver widespread and positive partnership working” but at the moment those are very hollow words indeed for most of us in the angling community. 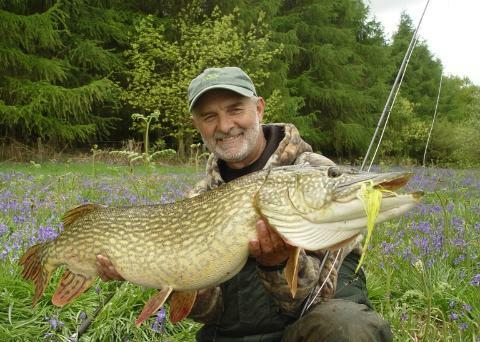 There has been a huge decline in angling effort. Official figures, (EA Wales) indicate a fall of 72.6% on the Afon Mawddach between 1995 and 2009. 75% of anglers participating in a recent survey felt that there had been a further fall of 50% – 75% during the last 5 years. The suggestion that 10% to 15% of the salmon in the river are caught by anglers, when so few are actually fishing, is an estimate that is so wide of the mark that it completely skews the resulting classification. To use a heavily regulated river such as the Dee, to inform the migration pattern of any spate river does not reflect reality (P5 CPWF/INQ/6). Run patterns are complex and increasingly either out of season, or at a time when method restrictions and/or local conservation rules mean that salmon are unlikely to be caught on rod and line. The reported rod catch cannot lead to an accurate assessment of a river’s stock status and it should be noted that NRW had been made aware of this back in November 2014 (P6 CPWF/INQ/6). Underreporting by anglers (49.5% on the Afon Dyfi in 2017) further skews the model and recent adjustments have not reflected changes in the real world. No matter how sophisticated the statistical model it can only produce an “estimate” of the number of eggs deposited in a river. It is the actual number of juveniles that are present in our streams and rivers that shows reality (see C3 Below). Is it necessary for every salmon caught by anglers in Welsh rivers to be returned if the species is to survive? In many rivers the answer is a very clear no. The picture across Wales is not one of universal decline. 8 of the Principal Salmon Rivers in Wales show a year on year improvement in the 3 years 2015 – 2017. 4 of those rivers have exceeded their Conservation Limit in each of the last 3 years with 3 rivers achieving more than 200% of their CL in 2017. NRW claimed that due to poor fry and parr counts in 2015/6 the effects will be seen in 2020 i.e. years later. This is based upon the regression line projected forward by 5 years. The comparison of catch returns from the 1950’s to current times for the River Tyne (P11 CPWF/INQ/6) supports the view that rivers can recover from dire circumstances without introducing Mandatory Catch Controls. In his Proof of Evidence (Appendix F Ps 69& 70 CPWF/2), Laurence Hutchinson, an expert in the field of Aquatic Ecology states that removing fish from a river will take pressure off that river and give juveniles a greater chance of survival. In short each stream has a “carrying capacity” and, no matter how many salmon spawn, the number of juveniles in a stream cannot exceed its carrying capacity. It’s not the number of spawning fish which is the issue it is the number which survive from egg to smolts reaching the sea (CPWF/2 Fig 1 Page 7). Given good habitat, and proper management of avian predation, a small number of adult salmon can easily produce enough juveniles to populate a stream. It simply is not necessary, particularly on those Welsh rivers that are regularly meeting or exceeding their Conservation Limits, for every salmon to be returned to the river in order for the species to survive. What is absolutely crucial to the restoration of our stocks of migratory fish is ensuring that losses arising from avian predation and agricultural pollution are addressed as a matter of urgency. The Atlantic Salmon Trust’s “Missing Salmon Project” emphasises the need to “prioritise the causes for mortality”. Angling is not a priority, in fact it doesn’t even feature on their list!!! Are rivers in Wales faring worse than those English counterparts who have been offered a voluntary solution? In short, no. Whilst there may be a greater %age of rivers in Wales that are classified as “Probably at Risk” or “At Risk” than in England, the picture in Wales is not one of universal decline based upon a questionable methodology and the use of a forward projection of a regression line (as previously stated in B1 above). The comparison of %age of Conservation Limit attained for 4 Welsh and 4 English rivers (P35 CPWF/INQ/6) clearly demonstrates that the 4 Welsh rivers are performing slightly better than their English counterparts. However those English in question are being offered the chance of a voluntary solution whilst in Wales the “Precautionary Principle” is cited as a reason to deny Welsh anglers a similar opportunity. The Information from the January 2019 NRW Fisheries Bulletin (P22 CPWF/INQ/6) clearly demonstrates that a number of rivers in North Wales are currently faring very well from a juvenile perspective. Indeed the results from the Mawddach and Wnion are described as “the best on record” with NRW adding that “Spawning would also have had to be successful to get such high densities”. Are the proposed byelaws enforceable? One of the risks highlighted by NRW in their initial discussion with their board back in July 2015 was the “Potential need to re-direct or increase fisheries enforcement resources to enforce any new regulation”. The statement “we hope that anglers will continue to phone in with intelligence” highlights concerns within NRW that a lack of intelligence may well prove to be more and more of an issue in the future. In short without a meaningful partnership between NRW and angling stakeholders, the proposed byelaws cannot be effectively policed. The losses from poaching are potentially far greater than any marginal gains that may be achieved through imposing legislation on law abiding legitimate anglers and we are therefore likely to see greater loss of spawning stock. Will “any decline in uptake of fishing be small and transient”? The reaction of anglers to Mandatory Catch & Release is complex. There are many anglers who struggle to justify the actions of hooking, playing and landing a fish which they know that they will have to return to the river and their reaction becomes one of “I’d rather leave them alone”. For others this is less of a problem. However we all know that unless we stop fishing altogether, eventually our actions will result in the death of a fish. To return it to the river dead in those circumstances makes no sense whatsoever as it will not contribute to the spawning stock. Having the “option” of being able to retain a fish, even though the reality is that many anglers will not exercise that option, is what enables us to minimise both the reduction in membership of angling clubs and the threat posed by greater losses from illegal activity when fewer anglers are actually on our rivers. Do the proposed byelaws offer a proportional solution? No. As previously highlighted there is a considerable variation in the status of salmon stocks across Wales and on that basis a one size fits all response is not appropriate. The precautionary principle appears to be used as justification for not offering a Voluntary Solution as a first course of action for “Probably at Risk” in Wales. Whilst the Proposed Byelaws are ultimately a matter for Welsh Government, we cannot see why Wales would wish to take a harder line than that being taken in England, particularly when the EA and NRW work collaboratively with CEFAS on their salmon stock assessments. Angling Clubs and Organisations across Wales have worked hard to achieve a voluntary return rate of 86% in 2017. On the Mawddach & Wnion the voluntary figure achieved in 2017 was 86.5% with a negligible contribution from the pre 16th June mandatory period. At this point, the introduction of Mandatory Catch & Release cannot realise any worthwhile benefits, particularly as an increase in illegal activity will result in greater losses. By its failure to engage with angling stakeholders in developing the proposed byelaws, as acknowledged by both the NRW Board and Executive at the January 2018 Board Meeting, it is hard to see where any support will come from within the angling community to help NRW achieve its objectives. Events during the last 12 months have further exacerbated the situation. Without a workable partnership between NRW and angling stakeholders the current proposals are unworkable. That lack of cooperation is a simple human reaction to repeated rejection and not the “threat” suggested during discussions within this Inquiry. Yes. There is a voluntary solution available, building on the format of the now defunct “fisheries surgeries” and working on an individual river basis, which offers a far more “resilient” and “sustainable” option to address the current situation. (P52 CPWF/INQ/6). This was put to NRW as an alternative approach as long ago as June 2016 but, despite being acknowledged as having “real merit” and receiving “very positive comments”, was rejected in the seemingly relentless pursuit of a legislative solution. Such a pragmatic and imaginative approach to what is undoubtedly a complex problem can help us avoid an unintended legacy that will last long after current employees have retired and my generation have hung up their rods for the last time. Let us not forget that it is education, co-operation, empowerment and partnership which has seen Voluntary Return Rates rise year on year to an all-time high of 86% across Wales (P54 CPWF/INQ/6). Does a 21st century democracy really wish to turn its back on those values which have brought us so far, in the pursuit of an autocratic solution which alienates those very stakeholders whose knowledge of their own rivers is so necessary for their recovery? There is an exciting opportunity here to build a better future for rivers and migratory fish stocks in Wales. We as anglers want to work in partnership with NRW, not in the constant opposition that we have been forced into. Firstly may we thank you for holding the Local Inquiry into The Wales Rod and Line (Salmon & Sea Trout) Byelaws 2017 and The Wales Net Fishing (Salmon & Sea Trout) Byelaws 2017 at a location which is as convenient as possible for those who wish to make their representations. We also appreciate the time that you have taken to identify the concerns which have been raised by angling stakeholders in order to provide an appropriate framework for the Inquiry. However we have serious concerns over the expectation that those of us who oppose the proposed byelaws will be able to attend the Inquiry on a daily basis over the course of 12 days. For a number of people that amounts to more than 50 hours driving time before we have even engaged with the relevant issues. The fact that we must do that at our own cost, and in our own time, in order to defend our fisheries from the actions proposed by Natural Resources Wales, whilst those who have instigated the action are being paid to attend, as well as provided with accommodation and/or travelling expenses, does not provide us with a level playing field. There is indeed an irony in the fact that revenue raised from our own fishing licences will be used to fund the defence of NRW’s position whilst we must reach into our own pockets again in order to make our representations. To that end surely it would be possible to ask those people who have indicated that they wish to attend whether they do wish to speak, rather than observe, and to provide dates when they would be able to do that. That would allow a timetable to be drawn up so that we know when we would be expected to provide our evidence and significantly reduce the number of days on which we would need to be present. We appreciate that narrowing this down to a single day may be difficult, but if two dates could be offered this would greatly reduce the burden on volunteers and representatives from NGOs who have limited budgets and very busy diaries. We would anticipate that many of us would wish to attend on the days when NRW’s evidence is presented but are less likely to feel the need to challenge those who hold similar views. As you have correctly pointed out, this is in many ways a unique Inquiry in that most of us who wish to attend are not local to the venue and we therefore feel that in the interests of fairness every effort must be made to make the Inquiry as accessible as possible to all. The Campaign for the Protection of Welsh Fisheries (CPWF) is a voluntary organisation supported by angling organisations from across Wales. We are a self funded voluntary organisation with considerable experience in managing fisheries, we have worked alongside several noted fisheries scientists over the past few years whilst carrying out fish surveys on behalf of rivers trusts, we know and understand our own rivers, each is unique, there is not a one size fits all solution which will resolve the decline in migratory fish stocks. Our primary concern is the protection of fisheries and conservation of migratory fish. “Our ability to assess stocks and implement measures in response to declining abundance is resource-intense, as well as being slow to respond in a timely manner. We need a system that allows us to assess and respond to changes in stock abundance more quickly. The above statement demonstrates the uncertainty of the NRW Technical Case and that the proposals are simply a stop gap in order to devise a more accurate and effective way of assessing migratory fish stocks. Imposing legislation rather than working with stakeholders who NRW accepts know their own rivers best river beggars belief. The Technical Case document produced by NRW contains 150 pages with eight supporting Annexe papers and is a comprehensive amalgam of arguments to support the NRW Option 2 byelaw proposals, but has fundamental flaws and weaknesses in its interpretation and presentation of critical core data for stocks and their condition status. CPWF maintain this is not the only option and that other options dismissed by NRW present a better long term strategy for sustainable migratory stocks whilst maintaining important socio and economic considerations and perhaps more importantly engage with stakeholders who care about their rivers. An actual impact assessment to life cycle phases is absent in the NRW Technical Case which should demonstrate and prioritise a targeted strategy for addressing the greater manageable impacts and threats to stocks. We have produced a simplified diagram below which demonstrates that the greatest losses are due to mortality from egg to fry to parr and more significantly the loss of migrating smolts to avian predators (goosanders/mergansers/cormorants) before they reach the sea. Nothing in the NRW proposed byelaws address the areas shown in red. It is also unclear if the marine losses are based upon the carrying capacity of a river assuming all the smolts reach the sea i.e. for the diagram are the marine losses calculated on 150,000 smolts reaching the sea or 75,000 smolts reaching the sea. Losses from egg to parr are difficult, and potentially costly to address however losses to avian predators can be easily resolved; instead NRW chooses to target anglers who have the least impact on fish stocks. (c) the means used to impair the right are no more than is necessary to accomplish the objective. The objective of the byelaw proposals is to reverse the decline in migratory fish stocks and it is clear from the diagram above that angling has the least impact on fish stocks: therefore “the means used to impair the right are no more than is necessary to accomplish the objective” and it is clear that the “means” are disproportionate as the proposals will not achieve the objective, after more than 20 years of catch and release up to 16 June there has been no significant improvement in the spring salmon stocks. Focusing on the areas in red in the above diagram would have far more effect in reversing the decline in migratory fish stocks. The objective is to get more smolts to sea and the proposals patently won’t achieve this. Using the Dee (an index river) as an example 100% catch and release would increase egg deposition by 1.6% above the present voluntary catch and release level. Smolt trapping on the river Dee by NRW estimated a loss of some 50% from the smolt trap at Worthenbury some six miles above the tide and the smolt trap at Flint in the tidal section just before the fish enter the Irish sea, dealing with the predation by saw billed ducks in the lower river as a short term measure would have a far greater effect on fish stocks. We have covered the detail in the sections after the executive summary. Government guidelines on byelaws recommends that alternatives should be considered i.e. could the objective be achieved in any other way, short of a byelaw? It is clear from the statement to the NRW Board, highlighted on Page 1, that NRW are only now considering alternatives presumably due to the joint pressure that has been put on the EA and NRW by anglers. Up to this point NRW has resolutely refused to consider alternatives and have pursued their preferred option, presumably due to resource constraints and personal beliefs. It is clear from the above table that progress has been made since 2010 with voluntary catch and release; it should be borne in mind that angling is not a particularly efficient method of catching salmon. It is claimed by NRW that anglers typically catch between 10% and 15% of the total number of salmon in a river system; the estimated catch has a significant effect on the calculation of the conservation limit i.e. yet another variable which skews the results. The above table shows that 2017 would have seen 39 additional fish that would have survived to spawn and only about half would be female. Based upon anglers catching 10% of the salmon stock in the river Dee in 2017 there would be 2,080 salmon spawning, so introduction of mandatory catch and release would contribute less than 2% of additional spawning fish. This is hardly a valid basis for the introduction of additional legislation as it clearly has limited effect. On many rivers angling effort is now so low that far fewer than 10% of the fish are caught and the potential benefits are further reduced. NRW has based its conclusions on the social economic impacts on the river Wye following extensive (and costly) river restoration. The Wye is unique in Wales with the fishing rights in the main being owned by private estates, this is not the case in most other Welsh regions where local angling clubs either own or rent the fishing rights. There has been little concern or understanding of the much smaller spate rivers of Wales and the effects of banning bait fishing (worm/shrimp) on these small rivers. In effect the proposals will render most of the smaller rivers of Wales unsuitable for fishing as they can only be effectively fished with bait. The proposals in their present form will see many community clubs close as members drop out of their clubs as they can no longer fish due to method restrictions. To counter this NRW suggests that they will assist clubs in promoting trout and coarse fishing. Other than the rivers Dee and Wye there are no significant coarse fish populations in the majority of Welsh game rivers and there is no shortage of stocked still water trout fisheries. Members primarily join local clubs to fish for salmon and sea trout as do visiting anglers who also purchase tickets. From discussions with NRW it is clear that they have formed their opinion on bait fishing from broodstock collection of salmon from the river Taff. We have been advised that broodstock caught on worm all died at the Cynrig hatchery and NRW uses this as a basis for their ban on bait fishing. Prior to the enforced closure of third party stocking in Wales the Mawddach and Conwy stocking programs caught broodstock using various methods including worm and shrimp. Whilst we had an odd fish each year which died from stress having been removed from their natal river to a hatchery on a strange river this occurred despite the method used. We experienced fish dying which had been caught using fly/spinner/worm/shrimp, having said this we lost very few fish during our stocking programs. The impression is that NRW are banning worm fishing based on personal preference using the excuse that some fish which had been removed from the Taff and taken to the Cynrig hatchery on the Usk had died. We have no information on the numbers of fish or how these fish were caught and handled but it is a convenient excuse to ban bait fishing on the rivers of Wales irrespective of the impact this will have on local community fishing clubs on small spate rivers which are only suitable for bait fishing. The NRW concession that anglers fishing for sea trout can use a single worm makes no sense if salmon are present this was a last minute concession following a challenge on the effect the ban on bait fishing has on disability discrimination, a CPWF member met with the Welsh Government Cabinet Secretary and raised this issue. The days of anglers who fish with worm waiting until the salmon has swallowed the worm has long since gone most salmon fishers who fish worm and voluntary return their fish do so with no more harm than any other method. Following fly fishing the least damaging method of salmon fishing is with shrimp, NRW ban this method claiming that this is only used in low water when oxygen levels are low and as such fish may not recover after being caught. If this is the case then all fishing in low, warm water, conditions should also be banned, spinning causes far more damage to fish and yet on some rivers this is permitted from the start of the season. I terms of hook selection a study in North America found that hook selection has little or no influence on fish survival. The study was based upon the capture of lake trout which were then put into a recovery tank, it made little difference if barbed or debarbed hooks were used or if the hooks were single/double/treble. The major influence in fish mortality was the length of time a fish was played before landing and the temperature of the water. During the Scottish Dee radio tracking program where salmon were rod caught and a record kept of the hook size and location of the hook in the fish’s mouth there was no recorded difference in the survival of the fish irrespective of the hook type. The proposed legislation, if implemented, will be difficult to police and nearly impossible to enforce. The NRW enforcement team consists of 16 FTE officers to cover the whole of Wales. This level of resource is clearly inadequate however furthermore these officers are not dedicated to fisheries work and have other duties to perform i.e. pollution investigation, fly tipping and cockle bed patrols. The enforcement teams are ‘intelligence lead’, all this means is any incident reported is logged but no action is taken e.g. a report of poachers on a river will be assessed and, as officers are not allowed to work alone if there is more than one poacher, there will be no response. In terms of tariffs (fines a court can make) a poacher, should they be caught, can be fined up to £250, whereas a licensed angler, should they be caught taking a salmon before the 16 June, can be fined up to £1000. A poacher may kill many fish but an angler who takes a fish which they could not revive will be treated more harshly simply because they have purchased a rod licence. NRW has stated that, if legislation is introduced, anglers ‘will do the right thing’ but this is a bit like saying drivers will observe speed limits, some do but many don’t as there is little chance of being caught. The same will apply to enforcing any legislation by NRW in the misguided attempt to improve fish stocks. The very low number of NRW Enforcement Officers makes the apprehension of offenders unlikely. Co-operation and not legislation is needed, we all have a common goal sadly the cheapest option for NRW is to legislate. We have concluded that, in the absence of validation of a quality assured national system, introducing 10 year mandatory byelaws formed on flawed data and current methodology would be open to challenge. CPWF are quite clear that the Technical Case options for sustainable management have not considered the full range of options open to restore sustainable stocks, both in terms of voluntary options and other enforcing measures (limits/tagging etc) that will secure rod fisheries cooperation for the future management of the fishery. Instead of working with stakeholders NRW has chosen a route which effectively drives a wedge between themselves and those who own and care for our rivers. Should these proposals be adopted in their present form, the repercussions for locally run clubs are dire with many being unable to pay their rents to landowners due to loss of membership. The economic impact on rural communities has been dismissed by NRW who claim that there will only be a temporary decline in fishing effort. This is appears based on the river Wye, a premier salmon river which has seen many millions invested in an attempt to reverse the decline in salmon stocks, this has only had limited success and could not be replicated on the majority of rivers in Wales. We have requested the Cabinet Secretary for Rural Affairs to defer any recommendations from the inquiry until 2020 to remove the uncertainty angler’s face in 2019. To introduce changes after the fishing season commences will have a damaging effect on many local clubs in Wales as members will not rejoin in 2019 if they can no longer fish due to method restrictions. The indecision in 2018 saw several clubs having difficulty in paying their rents due to reduced membership; the drought of 2018 has seen sales of day tickets from visitors drop causing further financial stress. 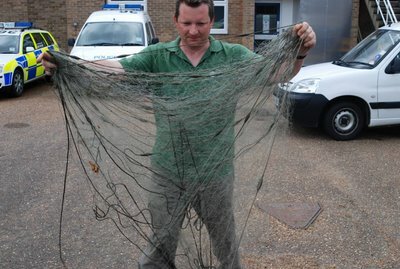 There are ways forward without penalising anglers but NRW has chosen to ignore these. We set out in our paper to demonstrate the flaws in the NRW Technical Case which underpins their proposals. Ruth will also chair the new Wales Fisheries Forum. Ceri stated that they were disappointed that the bylaws were not approved by WG and the Inquiry is something that they did not want. I pointed out at some length that if the planning inspectorate also choose to reject the bylaws there should be no disappointment as a voluntary solution would lead to similar, if not better, outcomes without causing unnecessary damage to angling and the rural tourism which it supports. I highlighted the damage that clubs had suffered already in 2018 and drew their attention to the situation on the Border Esk as well as the 4 visiting anglers in the Dolgellau area who immediately took their caravans to the Severn & NE England when we were initially told that the Bylaws would come into effect before 16th June 2017. I also explained the point that angling, compared with netting & poaching, is an extremely inefficient way of removing fish from the river and that realistically, particularly with the reduced angling effort that we are witnessing, there would always be more than enough fish remaining to sustain stocks. Furthermore large numbers of salmon are not necessary to provide sufficient offspring – however good habitat and ensuring their survival by managing predation are crucial. They asked how NRW could help protect angling clubs from the impact of the proposed bylaws. I pointed out that promoting trout and grayling fishing in the rivers of North & West Wales was of little use since there are no grayling and the majority of the brown trout migrate to the sea. I did suggest that promoting angling to a young audience is something that does need to happen as I currently regard someone on the riverbank who are in their 40’s as a youngster! I also pointed out that fish play second fiddle to fluffy animals in many ways – it matters not to the average tourist in Coed-y-Brenin whether there are any fish in the rivers or not. Anglers do have a vested interest however. I highlighted the excellent CCGRT Classroom project and suggested that promoting this type of activity would be beneficial in getting better understanding of our watercourses by the general public. Regarding the Wales Fisheries Forum I pointed out the widely recognised issue of lack of engagement with stakeholders and that the make-up of the group was not representative of those stakeholders (particularly the AST, IFM & WTT although they may have valid contributions to make on occasions). I suggested that if each LFG had a representative on the Forum there is a mechanism for the 2 way flow of information from individuals, through clubs to the LFG and on to NRW and vice versa. Furthermore there needs to be ownership of the agenda and a genuine feeling that concerns are being addressed. Talking “at people” is of no use and without a change in direction the issue of lack of engagement will not go away. I was asked if I thought LFG’s would be receptive to the idea and replied that those who didn’t wish to engage would have little cause to criticise any lack of future engagement. However NRW had to be aware that the bylaw process has caused a great deal of animosity and some clubs have already withdrawn from involvement. Bridges have to be built!!!! The upshot of this is that Ruth says she will write to each of the LFG’s to seek their involvement and this will be discussed at the first meeting on 31st October. They pointed out that it was too late to get LFGs involved by this date and wondered how this could be resolved. I suggested that being honest and upfront might be the preferable approach and that there would then be plenty of time to discuss this at the next round of meetings in December before taking it forward (if that is what LFGs want) in 2019. I had raised the point that I hoped that this meeting was not a tick box exercise to demonstrate how well they are engaging with stakeholders and have to say that I felt that there was a general desire to improve relationships. However I have pointed out that in the event of the bylaws being approved, there is a likelihood that many anglers will withdraw from being involved with NRW. I also had to point out that it was a pity that this meeting had not taken place some 3½ years ago in which case we would have been well on the way to a better solution by now. COPIED FROM A PDF. FROM CLARE PILLMAN. CEO NRW. Many thanks for your letter of the 13 August. You raise a number of concerns in your letter about the proposed approach to fishing byelaws in Wales. In common with some other fisheries groups in Wales, your questions and concerns relate to deeply technical issues. I’ve decided not to respond to those here as I believe these are best dealt with through continuing the regular bilateral meetings and discussions with my fisheries technical staff. I’ve suggested to my staff that they regularly share with you the procedures and approaches we follow which are put in place usually through agreements between WG, DEFRA, CEFAS and EA to ensure we have consistent and robust evidenced based approaches underlying the decisions we all take and in the interest of managing our natural resources sustainably. I’d like to focus my response to you on how we are trying to improve our engagement. I am committed to NRW continuing to work with fisheries stakeholders and improve our engagement, as aside from the catch and releases proposals we’ve put to Welsh Government for affirmation, we have many shared outcomes that I’d hope we can progress together – such as habitat restoration work. To complement the local fisheries groups, that we will continue to support, I know you will be aware that we are setting up an all-Wales Fisheries group with the first meeting to be held at the end of October. Through this forum and with a wider range of stakeholders we aim to build a common understanding of the problems facing fisheries across Wales, the underpinning evidence and technical assessment techniques that we can work on together and the actions we can all take to improve these fisheries. This group can help us establish the strategic direction for our future work. Whilst I’m aware that we might not always be able to reach agreement on all aspects, as we each have very different roles to undertake, I’d like us to be able to work together on achieving mutual understanding and respect for each other’s positions and roles. I am Ein cyf/Our ref: CX18-018 Ty Cambria / Cambria House 29 Heol Casnewydd / 29 Newport Road Caerdydd / Cardiff CF24 0TP / CF24 0TP Ebost/Email: Clare.Pillman@cyfoethnaturiolcymru.gov.uk Clare.Pillman@naturalresourceswales.gov.uk Ffôn/Phone: 0300 065 4453 www.naturalresourceswales.gov.uk www.cyfoethnaturiolcymru.gov.uk Page 2 of 2 though convinced that there will be much that we agree on and that we can work together on. The fisheries group will work through our other stakeholder groups such as the Land and Water Management Fora. The work of these groups in turn feeds into our board and executive team discussions. Future proposals for fisheries management can be discussed at the Wales fisheries group and together with our other stakeholder groups and continuing our regular dialogue will help give me assurance that NRW is engaging with the fisheries sector. I’ve asked Ceri Davies of my Executive Team to meet up with you ahead of the first meeting of the group, so you can feed in your thoughts about the group, how we best engage with you and the sector and share our work. Ceri will be in touch shortly to arrange this meeting. In the meantime, I am pleased to note that Mr White has confirmed he will be attending the first meeting of the new group on behalf of the Campaign for the Protection of Welsh Fisheries. In your letters I can clearly see and feel your passion and commitment to fisheries in Wales. I am also heartened that all of the fisheries staff I have met in my first 6 months working in NRW are equally passionate. I am therefore hopeful that in the coming months we will build a constructive and effective working relationship so that together we can secure the sustainable management of fisheries in Wales that our current and future generations can enjoy. The Wales Rod and Line (Salmon and Sea Trout) Byelaws 2017 I am writing to you as you made a representation relating to Natural Resources Wales’ (NRW) consultation on the Wales Rod and Line (Salmon and Sea Trout) Byelaws 2017. As there are outstanding objections to the Byelaws the Cabinet Secretary for Energy, Planning and Rural Affairs has appointed the Planning Inspectorate to hold a public local inquiry to hear the evidence on this matter in accordance with paragraph 2(1) of Schedule 26 of the Water Resources Act 1991. The Planning Inspectorate will appoint an Inspector to conduct the inquiry who will submit their recommendation in the form of a report to the Welsh Ministers. The Welsh Ministers will make the final decision on whether or not to confirm the Byelaws. The Planning Inspectorate has received a copy of all written representations provided to both NRW and the Cabinet Secretary. The inquiry is open to the public and as someone who made a representation you are welcome to attend. If you wish to submit further evidence to the Inspector then you are also welcome to speak at the inquiry. The purpose of the inquiry is to hear the evidence from all parties that they wish to put forward. The appointed Inspector will take all evidence from both the written representations and the inquiry, into consideration before submitting their report to the Welsh Ministers. You need only speak at the inquiry if you wish to add to your previous written representation. Given the large number of representations received, we would ask that; a) if you are aware of other individuals who have made a representation or b) if you are a member of an organisation, association or society etc. You consider liaising with them to nominate a person(s) to speak on behalf of the group. This will help to avoid repetition and ensure the effective and efficient running of the inquiry. The nominated person(s) need only contact us, confirming their intention to speak, and who they are representing. All future correspondence from the Planning Inspectorate will then only be sent to the nominated person. Therefore, please can you confirm one of the following: 1) I have nothing further to submit and do not wish to attend the inquiry. 2) I wish to attend the inquiry, but do not wish to speak. 3) I wish to attend the inquiry and present evidence to the Inspector. Please can I have your response, in writing, by Wednesday 19th September 2018. If I do not hear from you by this date I will assume that you are content with your written representation and do not wish to attend or speak at the inquiry. If you wish to attend the inquiry the Planning Inspectorate will write to you in due course with the arrangements. Finally, please find enclosed our language preference form. I would be most grateful if you could complete the form and return to us when replying to this letter. The Planning Inspectorate encourages the use of electronic communication and where an email address has been provided we will use this as the method of contact unless you inform us otherwise. Response from NRW Chief to Chris White about NRW fisheries byelaw proposals. Please note NRW documents are in these links because I only have .PDF files. Our letter are in full as I have the word documents. No bias intended. Another letter to the Minister: well worth a read. Thank you for your response on 18 July (Your Ref: LG/01334/18) to my letter dated 10 July 2018 in which you say you are unable to meet with stakeholders at this juncture in the process and that you will keep us advised via NRW. Unfortunately NRW has declared in a press release that there will be no further debate and we are therefore being kept in the dark on progress on this important issue. I have written to the Chief Executive of NRW requesting a meeting to try and resolve the lack of communication; however I would draw your attention to what is happening across the border in England. The Environment Agency, following improvements in the 2017 rod catches on many rivers, together with uplift to account for angler under reported catch returns, has updated the 2017 to 2021 river status classifications into its 2019 Byelaw proposals. As a consequence the number of “At Risk” Rivers to which mandatory measures will be applied has dropped from 10 to 4. Together with English anglers we funded an independent review of the statistical river classification methodology used by both NRW and EA. This independent review raised some serious concerns on the interpretation of the data from the model being used. An email exchange between CEFAS & NRW in July 2015 stated that: “NRW note that the current levels of exploitation are not the primary cause of the current low abundance and that the proposed measures will thus result in relatively modest increases in spawner numbers….”. In looking at the comparative NRW & EA 2017 angler declared catch returns that generate spawning stock estimates we are particularly concerned that the average under reported catch uplift applied to WelshRiver catches is 16.76% whilst for English Rivers the uplift was 31.5%. This mirrors concerns we have with NRW rod catch estimates used in comparison to the more realistic rod fisheries catch totals on a number of managed fisheries. The 2017 and 2018 juvenile salmon surveys provide further evidence that the data being used by NRW is flawed as these are higher than the predicted numbers from the river classification model. A number of North Wales rivers have shown above average numbers of salmon parr, with some rivers recording their “best ever” results. Despite this, NRW prefers to take the easy option of imposing blanket restrictions on all rivers in Wales and dismisses a voluntary solution which will potentially deliver better outcomes for both our stocks and fisheries. If the proposals are introduced without giving a voluntary solution a chance it will be a travesty, particularly given that there are clear signs that a significant number of rivers are now showing a steady improvement. There is no evidence that Catch & Release (C&R) is effective based on the National Salmon Regulations introduced in 1999. It is therefore unlikely that the proposals put forward by NRW for a period of 10 years will not have any effect in increasing the numbers of salmon returning to our rivers. You may be told that without the 1999 regulations things may have been much worse and that not to approve the proposals could be seen as negligent; the reality is that this is little more than speculation and cannot be substantiated. The decline is due to many things but angling is not one of them. However, high on the list of poor recruitment is agricultural pollution and predation by fish eating birds. It has not gone unnoticed that many of the responses from your office, although signed by you, were probably drafted by fisheries officers. A recent request from Lynne Neagle AM about the proposed bylaws on behalf of one of her constituents to Clare Pillman (CEO of NRW) is yet another example of the reply not being written by the person who signed it. The response to Lynne Neagle AM was designed to demonstrate that the complaint from the constituent was wrong. The response uses inaccurate and emotional data i.e. claiming that the number of anglers “killing all of their salmon” is 30% and yet in a recent note from NRW to members of Local Fisheries Advisory Groups it was said that there were 24% of anglers, based upon catch returns, who killed all of their salmon, this fails to recognise that these anglers may have only caught one fish. These figures do not match the declared 80% of salmon in Wales which had been released, on some rivers the release rate is more than 90% i.e. voluntary measures can work. I note you prefer not to legislate on agricultural pollution but prefer a co-operative approach with farmers, an option which is being denied to anglers. You prefer to deny anglers an opportunity to meet with you or your Environment Minister in order to put forward alternatives despite the evidence that we have presented to you that the data used by NRW is flawed. Anglers are not the root cause of the decline in fish stocks and yet you are being told by your advisors that the only way forward is to impose further restrictions on anglers. 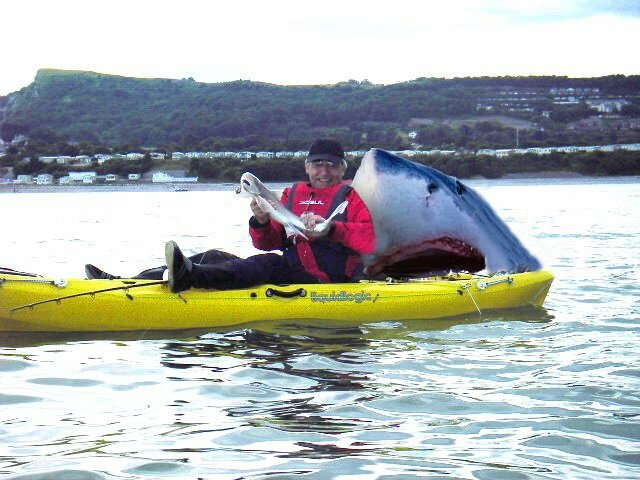 The greatest fear amongst anglers is that you will sign off the NRW Bylaw proposals during the summer recess and in so doing avoid any debate in the Senedd from AM’s who support the anglers in their constituents. If this is the case we will insist on an inquiry. The Campaign for the protection of Welsh fisheries represents, and is supported by, all angling disciplines in Wales and is a major NRW stakeholder, we write on behalf of all Welsh anglers. At the January 2018 NRW Board meeting held in Bangor the proposed bylaws were presented to the NRW Board for approval. Although we had requested the opportunity to explain our concerns to board members ahead of any discussion, this was refused and we had to resort to speaking to a few members during the short lunch break, the majority of them subsequently speaking up on our behalf during the ensuing presentation. When the Board reconvened after the lunch break the Chair (Diane McCrea) announced to the Board that, whilst the Board members may contribute to the discussions on the proposals, there would be no vote and she would have the final say. The general feeling from the Board members was that further time should be given for the NRW fisheries team to meet with stakeholders and look for alternatives. It was surprising that, despite the overwhelming feeling of the Board who felt that further discussion with stakeholders should take place, the Chair sided with the management team and approved the bylaw proposals, hardly democracy in action. However, as a concession it was agreed by the Board that there had been a clear failure to properly engage with stakeholders and immediate steps should be taken to put this right. We are now six months on and nothing has happened. In fact the NRW fisheries officers made a press statement following the announcement of the deferment of the bylaw proposals until 2019 in which they said “there would be no further debate” and “we are prepared to make ourselves unpopular” when referring to the bylaw proposals. The failure of NRW to engage with stakeholders was clearly recognised by the Petitions Committee on 3rd July during their consideration of two petitions from angling organisations. The decline in migratory fish stocks is not disputed, this has been ongoing for over 20 years, but little or no effective action has been undertaken by the predecessor agencies to NRW to reverse this decline. The introduction of the National Salmon Regulation in 1999 made it mandatory for anglers to return all salmon caught prior to 16 June (coupled with method restrictions) for a period of 10 years in order to protect the stock of ‘spring’ salmon. This measure has been extended for a further 10 years as it has had little or no effect in reducing the decline in salmon but has had a marked effect on the numbers of anglers fishing prior to 16 June. We now see NRW wanting to extend the National Salmon restrictions beyond 16 June, for a minimum period of 10 years, and to introduce more severe method restrictions on all Welsh rivers. If introduced, the proposals will inevitably severely impact the number of anglers salmon fishing in Wales. Several Welsh clubs have already seen their membership decline by 20-25% due to the uncertainty of the effects of the proposed bylaws. Perhaps more significantly, there has been a decline of up to 75% in volunteers who carry out habitat improvement and maintenance work that is vital to the future survival of our fisheries. This demonstrates that NRW has lost the support of its stakeholders due to its failure to engage with or listen to them. We have requested meetings with the Cabinet Secretary (Lesley Griffiths) or her Environment Minister (Hannah Blythyn) to put forward voluntary solutions which we believe would be more effective, only to be repeatedly told that she is unable to meet with stakeholders but will keep us informed of progress via NRW. Consequently, we still don’t know what is happening and the damage to our fisheries, and the rural economies which they support, continues. “….To do that we need to take people with us – customers, stakeholders, politicians, decision-makers and the people of Wales. I look forward to meeting them, hearing their views, and working with them over the coming years to make sure that we hand on the environment of Wales in the best possible condition to our children and grandchildren”. On behalf of stakeholders I would therefore request a meeting with you in order to present alternatives which, although they potentially deliver better outcomes for both our fish stocks and fisheries, have been consistently rejected by the senior NRW Fisheries Team in their relentless pursuit of legislative approach. Janet Finch-Saunders AM. Thanks for your support during Petitions Committee discussions on 3rd July. Having watched the footage from the Senedd TV on 3rd July, when the 2 petitions opposing NRW’s proposed introduction of new Catch Controls for salmon and sea trout were discussed by the Petitions Committee, I wish to express my gratitude for the support that you and your fellow committee members showed for the angling community in Wales. I have been involved in challenging NRW’s proposals for more than 3 years and have worked closely with Chris White and Reuben Woodford in order to represent our fellow anglers. For the first time we feel that someone is not only listening to, but also making a genuine effort to understand, our concerns so once again thank you. The following points may be helpful in highlighting some of our concerns. A fair hearing for stakeholders? We first became aware of the proposals at the NRW Board Meeting in July 2015. Having contacted the then chairman, Peter Matthews, in advance of the meeting, we were grateful that he took the decision to move the agenda item until after the coffee break so that we had the opportunity to speak to board members prior to the issue being discussed. Without that we would have had no opportunity to raise our initial concerns. In closing the discussion the chairman stated that he “hoped that their aims could be achieved without resorting to statutory legislation”. Unfortunately for our fisheries, the NRW Fisheries Team chose to ignore that request. NRW held meetings with angling groups in November 2015 and October 2017 and circulated a questionnaire in December 2015. The final consultation ended in November 2017 with 83% of respondents opposing the proposals. Despite NRW’s Principal and Senior Fisheries Advisors admitting that we know our own rivers better than they do, they have repeatedly dismissed our concerns and at no stage do we ever feel that we have been listened to. Instead, the NRW Fisheries Team has relentlessly pursued its “Preferred Option” of statutory legislation. We asked to be able to briefly raise our concerns to Board Members in advance of discussion at the January 2018 Board Meeting but that request was denied. Those Board Members who we were able to address informally during the short lunch break spoke up on our behalf. We were also extremely concerned that the Chair, Diane McCrea, decided that there would be no vote on the proposals and she alone would make the decision. At the end of the Board Meeting there was much talk of how “we have failed to engage with stakeholders” and must take immediate steps to put this right. Six months later we are still waiting. All of our correspondence with both the Cabinet Secretary for Energy, Planning & Rural Affairs and the Minister for Environment has been acknowledged but we have repeatedly been denied the opportunity of a meeting to explain our concerns. Siân Gwenllian AM was also denied a meeting with the Cabinet Secretary to raise stakeholders concerns following a public meeting of angling groups. The NRW Senior Fisheries Advisor has stated that all of our correspondence to the Cabinet Secretary is diverted to Jeremy Frost at Inland Fisheries Strategy who responds on her behalf. We have serious concerns in this respect given that Jeremy was involved with NRW and CEFAS in the construction of the Technical Case for the new byelaws. We are not confident of an unbiased response. An email between CEFAS & NRW in July 2015 contains the following quote: “NRW note that the current levels of exploitation are not the primary cause of the current low abundance and that the proposed measures will thus result in relatively modest increases in spawner numbers….” In other words the proposed measures will not deliver the results that NRW claim, particularly when anglers already release upwards of 80% of their fish anyway. NRW has also failed to realise that it is the people who have driven the conservation agenda within their own clubs and organisations who are so opposed to these proposals because they realise that the potential gains will be far outweighed by the losses incurred by driving anglers away from the riverbank. Furthermore emasculating angling clubs will mean that the skills and enjoyment of angling will not be passed on to our “children and beyond”. “Probably at Risk” rivers in England will not be subjected to mandatory measures. The same response in Wales would remove 12 rivers from the current proposals. Furthermore, unlike Scotland and Ireland, which annually assess the health of individual rivers, reflecting fluctuating stocks in a reasonably accurate and fair process, NRW is proposing a blanket ban on all rivers for ten years. This extinguishes all hope amongst anglers and drives people away from the sport. NRW says it has “looked at similar actions taken elsewhere” but fails to explain why the Scottish or Irish model is unsuitable in Wales. We have proposed a voluntary solution which potentially delivers better results in terms of allowing more salmon and sea trout to spawn and pays far greater attention to the need to establish a sustainable and resilient framework that supports the SMNR policy. By empowering anglers, our solution delivers much better outcomes for the Well-being of Future Generations Act and offers a means of delivering progressive, positive actions in partnership, something the new Chair of NRW has stated must happen to achieve future outcomes. NRW’s actions are already having a significant impact in 2018 on both our fisheries and the angling tourism which they support. A number of clubs have seen a drop in membership of 20% -25%, whilst others that previously had waiting lists for membership now have vacancies. More significantly some clubs have seen the numbers of volunteers for Working Parties fall by up to 75%. Without these volunteers habitat improvement and maintenance work, which is vital for the future survival of our fisheries, cannot be carried out. If new byelaws are implemented without stakeholders’ concerns being heard first hand by someone other than the NRW Fisheries team, Welsh Government will have presided over a situation that is not appropriate for a 21st century western democracy. To that end we seek representation at any discussion that takes place between the Petitions Committee and Natural Resources Wales. Here at our anonymous online reporting facility. It links directly to the Environment Agency's internal reporting systems. : Please tell us about absolutely anything you may have seen, it's ALL important to us. Do you think we need more baliffs protecting our fisheries? If you have any concerns, questions or require any information, please do not hesitate to contact us. Any communications will be dealt with asap and will be completely confidential.